After winning the civil war in Eden, Athena returns to her calling, collecting powerpods with her husband Kit. Now weeks away from Earth, she goes into labor. To make matters worse, a strange ship attacks Athena and Kit’s Cathouse and kidnaps Athena’s husband. That ship is called Je Reviens. It’s a named steeped in history—and not the good kind of history. Hot on Kit’s trail, Athena discovers that you shouldn’t name a ship Je Reviens unless you intend it to return. The genetically modified Mules are back, and they have a plan to prevent themselves from being exiled ever again. And if the Mules win, the best thing humanity can hope for is slavery. 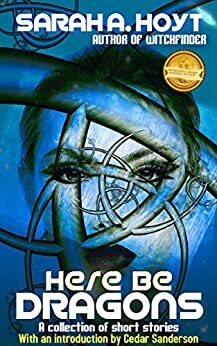 While a bio-engineered plague wreaks havoc on the forces of liberty, Athena must risk herself, her husband, and her child for the survival of humanity. The Mules may be about to find out what revenge truly is: one angry mother. 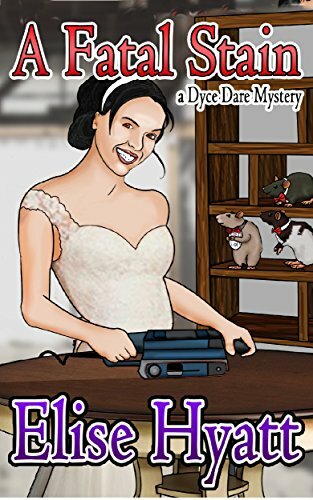 When Dyce Dare buys a table to refinish, the last thing she expects is to find a human blood stain under the amateurish finish. Whose blood is it? What happened to the person who bled on the table? 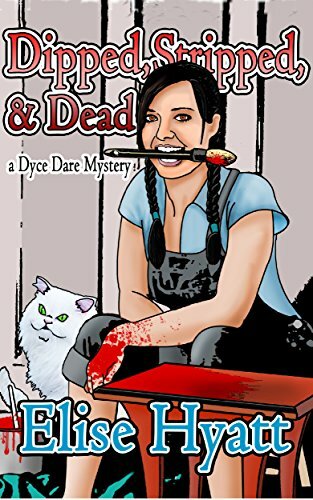 Helped and hindered by her fiance, Cas Wolfe, her friend Ben, her son E and an imaginary llama named Ccelly, Dyce must find the killer and the victim, before the killer finds her. 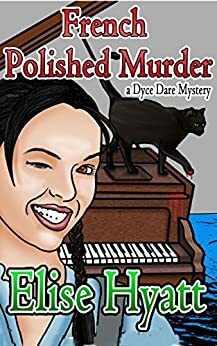 When Dyce Dare decides to refinish a piano as a gift for her boyfriend, Cas Wolfe, the last thing she expects is to stumble on an old letter that provides a clue to an older murder. She thinks her greatest problems in life are that her friend gave her son a toy motorcycle, and that her son has become unaccountably attached to a neurotic black cat named Pythagoras. She is not prepared for forgotten murder to reach out and threaten her and everything she loves, including her parents’ mystery bookstore. Originally published by Prime Crime. Did you ask for murder, madness, mayem…. furniture refinishing? With all new covers by the amazing Jack Wylder, these are the books that will make you laugh and make you cry…. from laughing so much. When she was six, Dyce Dare wanted to be a ballerina, but she couldn’t stop tripping over her own feet. Then she wanted to be a lion tamer, but Fluffy, the cat, would not obey her. Which is why at the age of twenty nine she’s dumpster diving, kind of. She’s looking for furniture to keep her refinishing business going, because she would someday like to feed herself and her young son something better than pancakes. Unfortunately, as has come to be her expectation, things go disastrously wrong. She finds a half melted corpse in a dumpster. This will force her to do what she never wanted to do: solve a crime. Life is just about to get crazy… er… crazier. But at least at the end of the tunnel there might be a relationship with a very nice Police Officer. From the trenches of WWI where the Red Baron just can’t help turning into a dragon, to the desert sands of a future world where humans have become something else, from a coffee shop between worlds where magicians gather, to a place where your worst nightmare can love you, let Dragon Blood take you on a series of fantastic adventures. A spaceship mechanic has no place in a fairytale. But now Zen Sienna finds herself in a beautiful palace being courted by the ruler of vast lands. Yet soon Zen is caught up in a revolution that comes a bit too close to imitating the original French revolution—complete with beheadings. 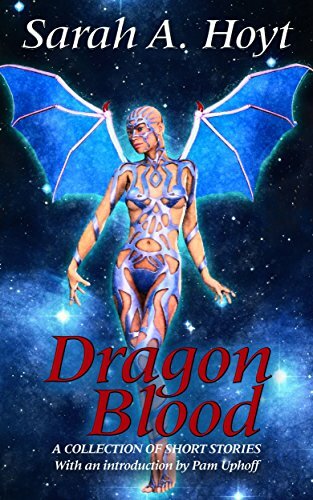 Swept up in a turmoil of fire and blood, she must find her footing. Torn by divided loyalties, unexpectedly in charge of protecting the innocent while trying to stop the guilty, Zen discovers both her inner strength and discovers who will remain true friends and comrades, and who will be revealed as enemies in disguise waiting to strike! Through the fire of revolution and war, Zen must earn her citizenship on Earth and find her place in a world that’s totally changed. 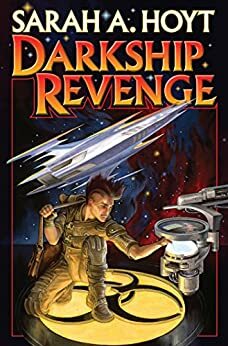 This book was originally published under a pen name by Prime Books, in a deal I can honestly say was not good for anyone. The France of the Musketeers has changed. Decades ago, someone opened a tomb in Eastern Europe, and from that tomb crawled an ancient horror, who in turn woke others of its kind. Now Paris is beset by vampires, the countryside barren and abandoned. 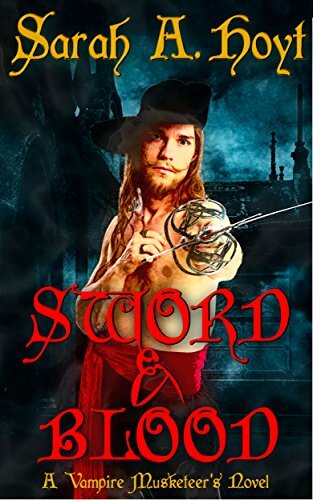 The Cardinal has become a vampire, the church is banned, the king too cowed to fight. Until now, the three Musketeers, Athos, Porthos and Aramis have stood as a bulwark against the encroaching evil, their swords defending the innocent and helpless. But last night, in a blood mass, Athos was turned into a Vampire. And a young vampire orphan has just arrived from Gascony: Monsieur D’Artagnan. Things are about to get… complicated. A collection of short stories by Award Winning Author Sarah A. Hoyt. 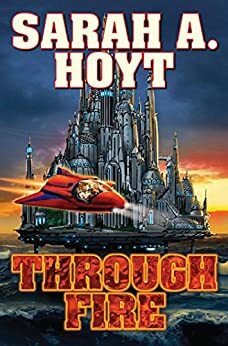 From dark worlds ruled by vampires, to magical high schools, to future worlds where super-men have as many problems as mere mortals, this collection shows humans embattled, imperiled, in trouble, but never giving up. Angel in Flight is set in Sarah Hoyt’s popular Darkship series. 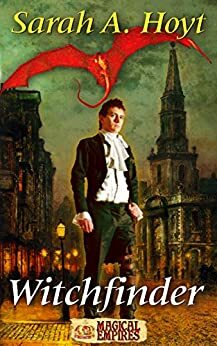 Heart’s Fire,Whom The Gods Love,Angel In Flight,Dragons as well as an introduction by fantasy writer Cedar Sanderson. For now it’s only available in ebook and only from Amazon, but it should come out, shortly, from the other outlets and be out in paper in the next two weeks. 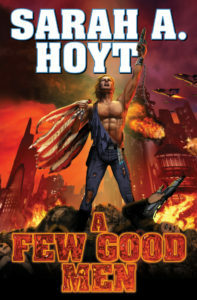 A Few Good Men one of 5 finalists for the Prometheus Award!